Early in my career I had just started a new job. The team I was in was also new. It had been created a mere two weeks before I started in response to a new contract that created a whole new branch of the business. I was team member number two. Within days of my start my new boss Carolyn, a lovely lady in her mid forties with a wealth of experience in customer service, told me we were going to “do cake” with our main service provider. I had no idea what “doing cake” was or why would we take a few hours away from our busy office to meet with people who were providing services to us. After stopping at a bakery for a quality cake we headed over to share cake and coffee with about five or six women we would be phoning, faxing and sending forms back and forth with every single day. 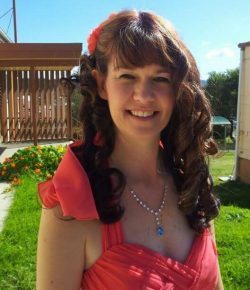 At the beginning of a long-term business relationship we had met our key contacts, put faces to names and learnt a little about them as individuals, and they got to know us a little. As the months unfolded I noticed that the girls we had done cake treated us differently to other service providers. And we treated them differently too. We had a better understanding. They were more prompt in getting back to us. They double checked if something didn’t feel right with one of the forms. We changed our processes to fit in with their workflow. Phone calls included a genuine “how’s your day?” Not so with other companies we interacted with every day. I realised we had built bridges with cake. Fast forward a decade and experience at a large variety of organisations, I have learnt the secret of how cake builds bridges. It’s simple really. We all have people that we are customers of or who are regular customers of ours. They may be external to the business we work for or they may be internal (particularly if you work in accounts, HR or IT). In normal business life there is often friction between the processes of one team and another. Accounts desperately wants all receipts in by the end of the month so they can meet their deadlines,but the poor personal assistants are also trying to get monthly reports together, organise end of month meetings and a million other things. If you don’t know the people you regularly work with, if they are only a name, a face, an email address, it’s easy to believe that they are deliberately choosing to make your life difficult, when in reality maybe they just don’t understand the implications of how their work impacts you. When you know them, if they are a good colleague, a friend, then you are more likely to assume that they haven’t done something, not because they don’t care, but because extenuating circumstances prevented them from helping you. It’s the social times that build relationships in a workplace. This may be over sandwiches at the lunchroom table each day. It may be that first few minutes of the week when you discuss your weekends. It could be a break time in a conference. And almost always there is food. A few times I have seen where two teams who work closely together have a morning tea together as an intentional plan to build better working relationships. As they do so, bridges are built, misunderstandings laid aside and procedures are changed to increase workflow between the teams. Individuals get to know each other better as people over the cake and attitudes improve. Cake, (or any good food really), is also a good way to build relationships within teams too, particularly newly formed teams. Cake may cost a few dollars to the business but it does pay great dividends in increased productivity and morale. 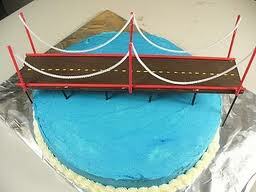 I encourage you to build bridges with cake. Question: Do you relate to this? Have you been in a workplace situation where you have built positive relationships with customers or service providers? Has cake worked well in your workplace? Share your experience with us through a Comment below.